A fast-paced, VR-native title that really delivers. Race a spaceship taxi around Starbear’s tiny, futuristic city to deliver busy bear passengers to their desired destinations! Race bear passengers around a futuristic city in this fast-paced VR arcade game! 3064 A.D. Fresh out of “hibearnation" (aka unemployment), Starbear is a mammal on a mission: to deliver as many busy bears to their desired destinations as possible, avoiding pesky raccoon bandits along the way. Featuring a novel VR-native RC flight-control system, you gain precise control over your space taxi, with a custom aerodynamics model that allows your flight skills to shine. 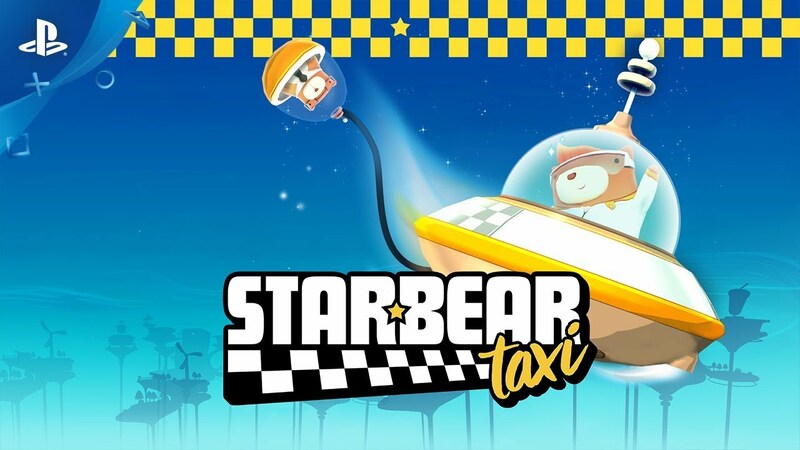 "Starbear: Taxi" is a fresh, new title from Funktronic Labs, developers of award-winning titles Cosmic Trip and Nova-111. Taxi as many passengers to their destination as possible before the clock runs out! Watch out for bandit raccoons - they’re sneaky and out to get ya! Collect the most honeycombs - aim to be impawsible to beat! Built natively/exclusively for VR, this action-packed, fast-paced taxi gameplay will keep any gamer engaged! Fun, replayable “arcade” experience is always fresh during every “run” and keeps you coming back for more! Who among you and your friends will have the beary best score?